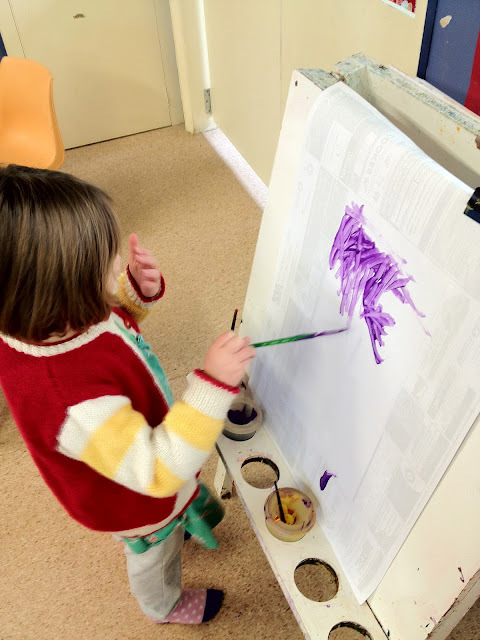 Playcentre is about letting the child lead and you following and providing the tools for learning. Playcentre is awesome. I wish I had found it 19 years ago. so I threw the thick chunky brushes across in the art sink and found her some more. 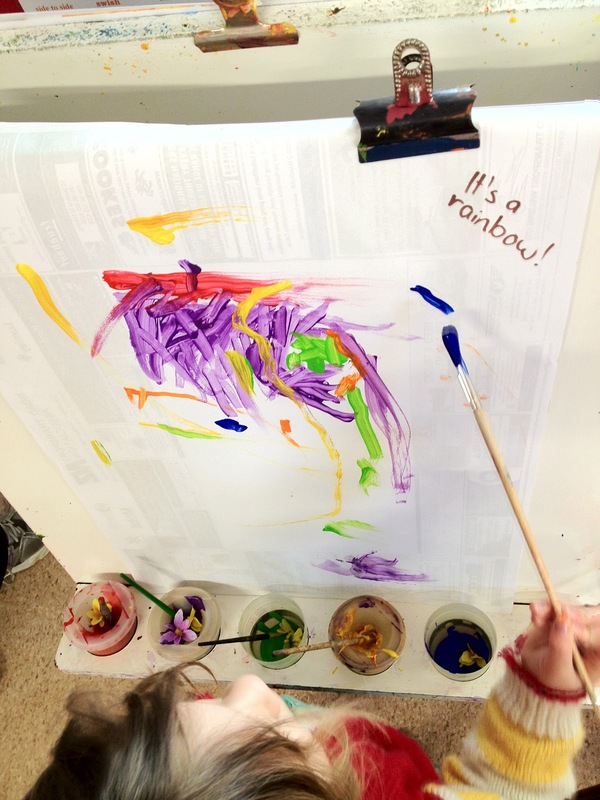 "I'm painting a rainbow" she said. Someone had put out red, yellow and purple. 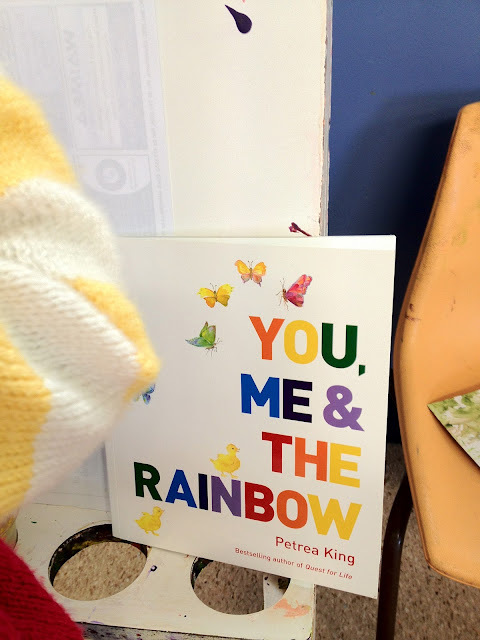 so I went and found a book about rainbows in the bookcase and read it to her. We talked about the colours and she told me what she wanted. I bit my tongue and didn't say what shape I thought a rainbow should be. I realised it doesn't matter. 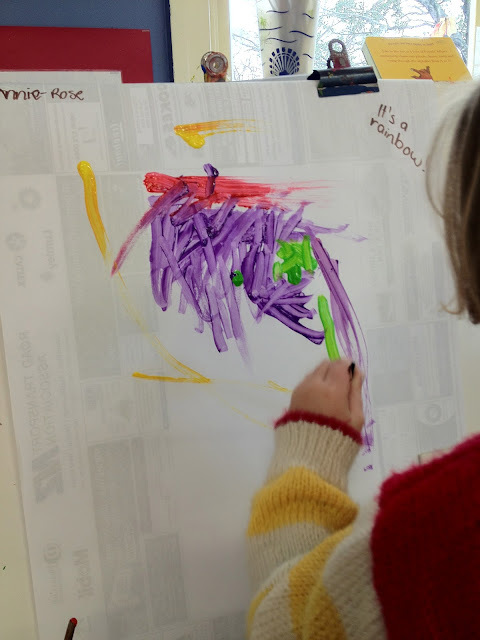 She was painting what she wanted. And she did, ever so carefully. it's a lovely addition to a book shelf. This picture could be my most favourite ever. I'll use these pictures to write up a story and stick in her profile book. 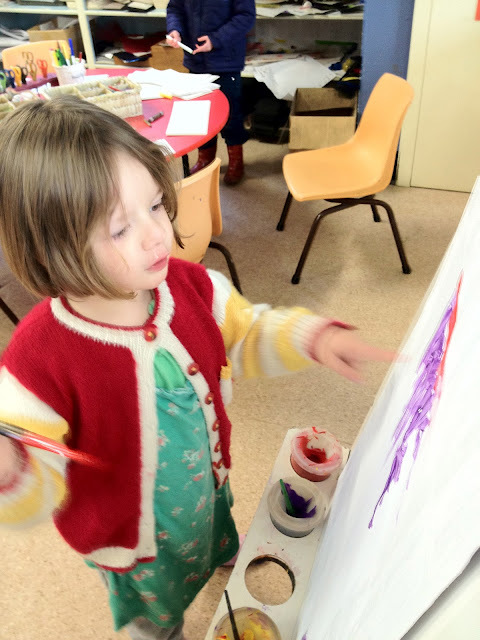 I love this post, I would adore it if you could write more often about playcentre. We've been going for some time now (a year and a half, maybe?) but I still don't feel like much of a 'playcentre Mum'. Otto is well and truly a 'playcentre kid' though. I'm trying to remedy this by working harder on the profile books (never really got into them before, or centre is a touch slack, perhaps due to noone having much PC education?) and finally doing my course 1 and considering the beginning of my course 2. It is a very wise mum that allows the space for her child to lead. Creativity is very personal and there are no rules....again something I should take on board....thank you Annie. Oh that is so awesome. A very beautiful rainbow indeed. This simply needs to be framed! It is perfect!